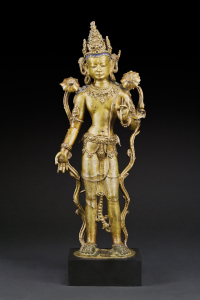 Tennessee, USA -- The McClung Museum of Natural History and Culture at the University of Tennessee will offer two free public events centered on a current exhibit of Buddhist art. The exhibit, "Embodying Enlightenment: Buddhist Art of the Himalayas," is on display until Jan. 3 and features Buddhist art from Tibet, Nepal, China and India from the eighth century to now. On Tuesday, Eddy Falls of the UT Philosophy Department will speak about Buddhist philosophy in relation to the items on display. 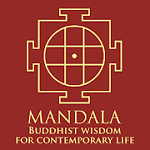 His lecture on "Deity Yoga and Metaphysics in Tibetan Buddhism" runs from 5:15-6:15 p.m., and no reservations are required. There will be a stroller tour with activities from 10-11 a.m. on Oct. 19. The event will offer activities centered on Buddhist folk stories and how they relate to sculptures and paintings in the museum. The event is free, but reservations are required. To reserve a spot, visit tiny.utk.edu/strollertour or call 865-974-2144. Part of the exhibit is a painted limestone stela, or relief sculpture, that was recently donated to the museum. The sculpture has a Buddha figure with dragons, lotus flowers and two bodhisattvas, or heavenly beings, and is an example of a Chinese style of Buddhist art from the Northern Wei dynasty. The museum is at 1327 Circle Park Drive. Admission is free. Hours are 9 a.m.- p.m. Monday through Saturday and 1-5 p.m. on Sundays. Visitors can receive free two-hour museum parking passes from the parking kiosk at the entrance to Circle Park Drive during the week, and parking is free on the weekend. 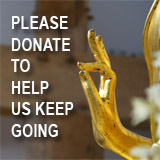 For more information about the Embodying Enlightenment exhibit and related programs, visit tiny.utk.edu/enlightenment.